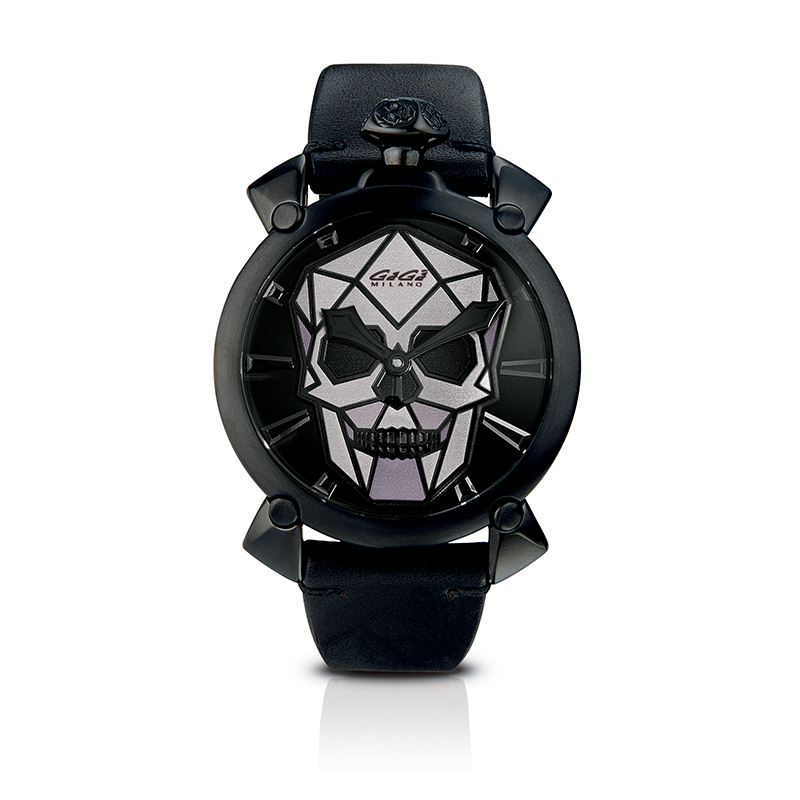 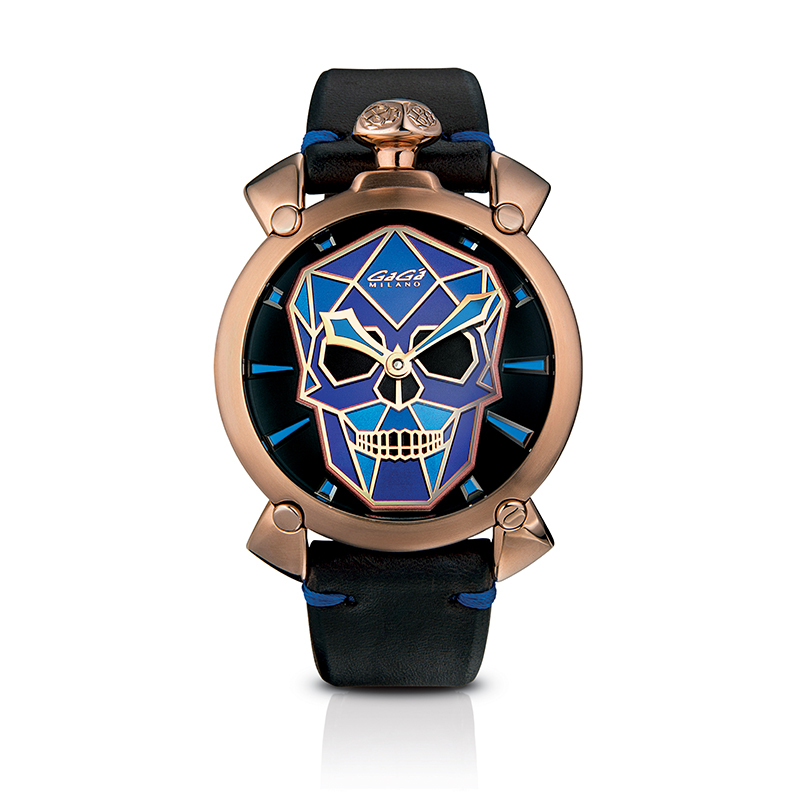 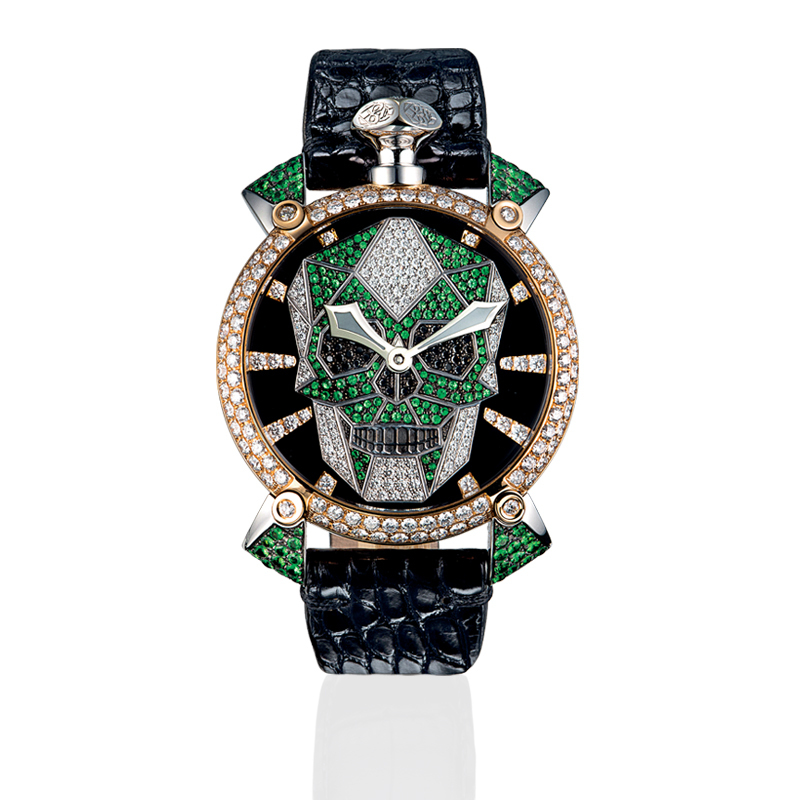 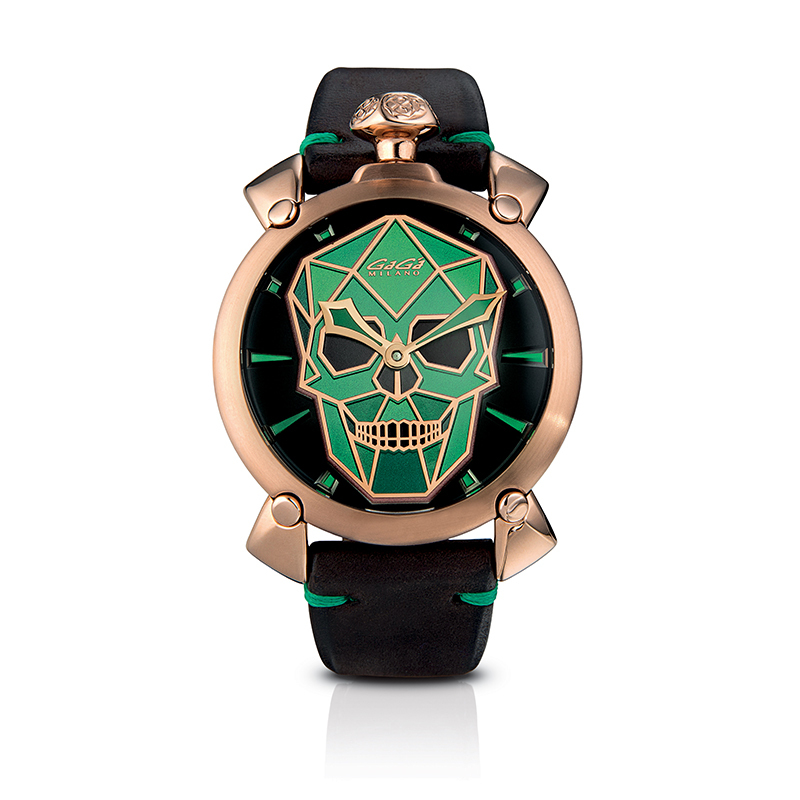 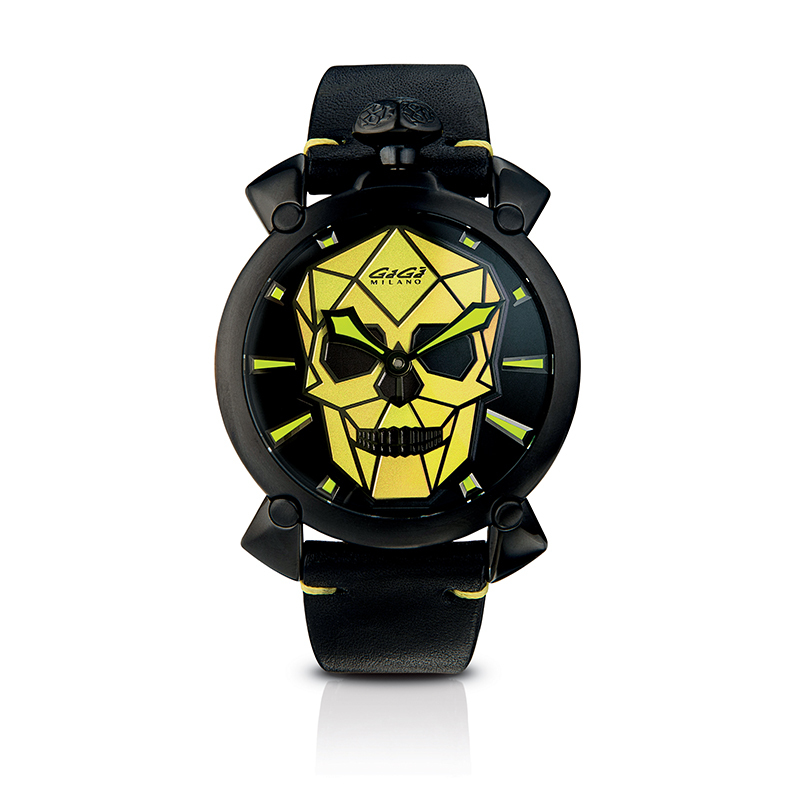 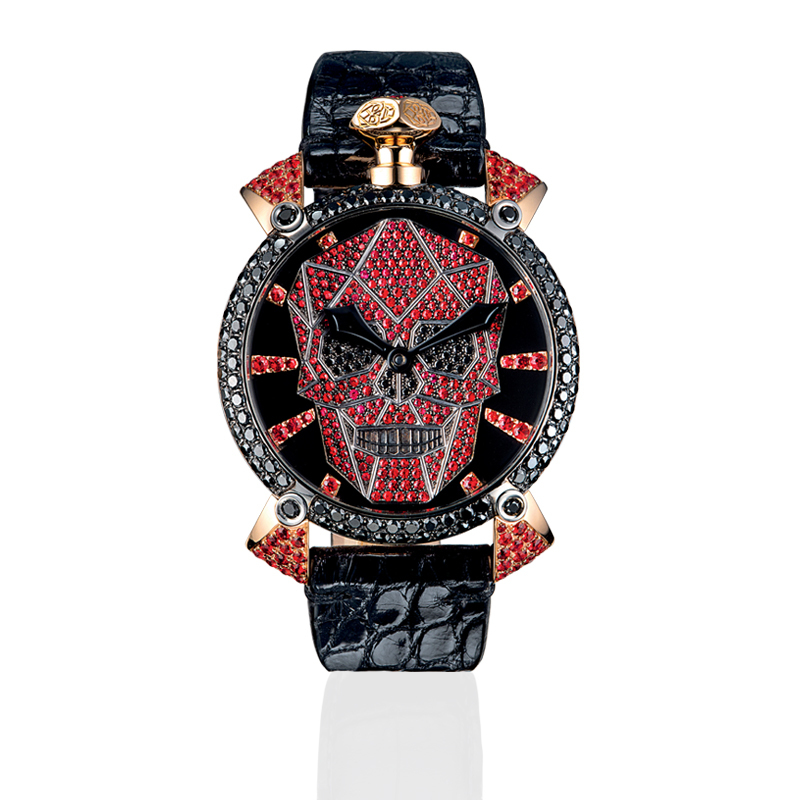 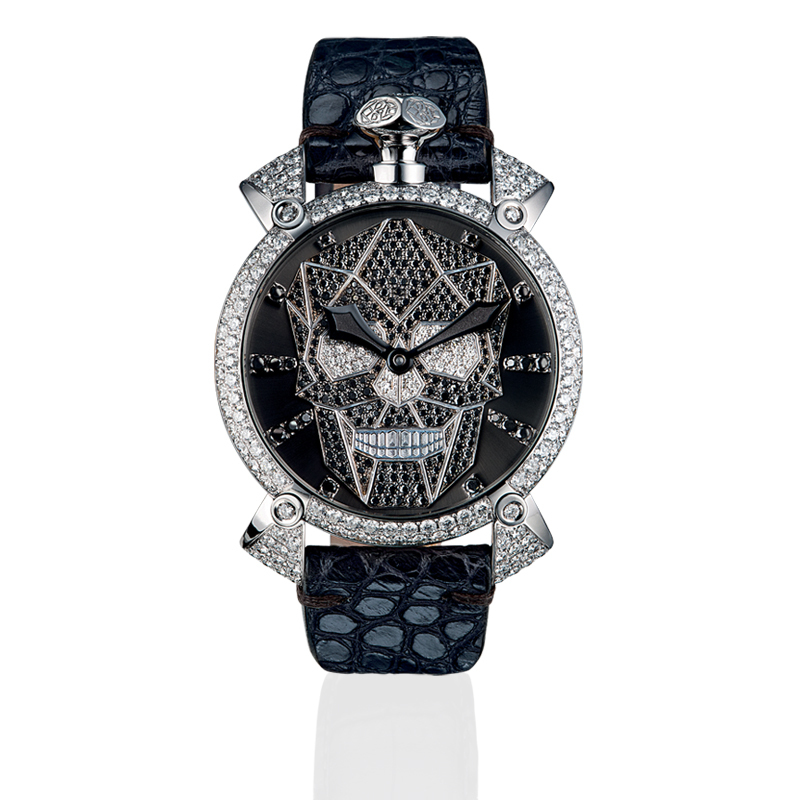 Bionic Skull 48mm, with 48 hour power reserve, presents an enamelled skull with coloured fillings, applied to the centre of the dial. 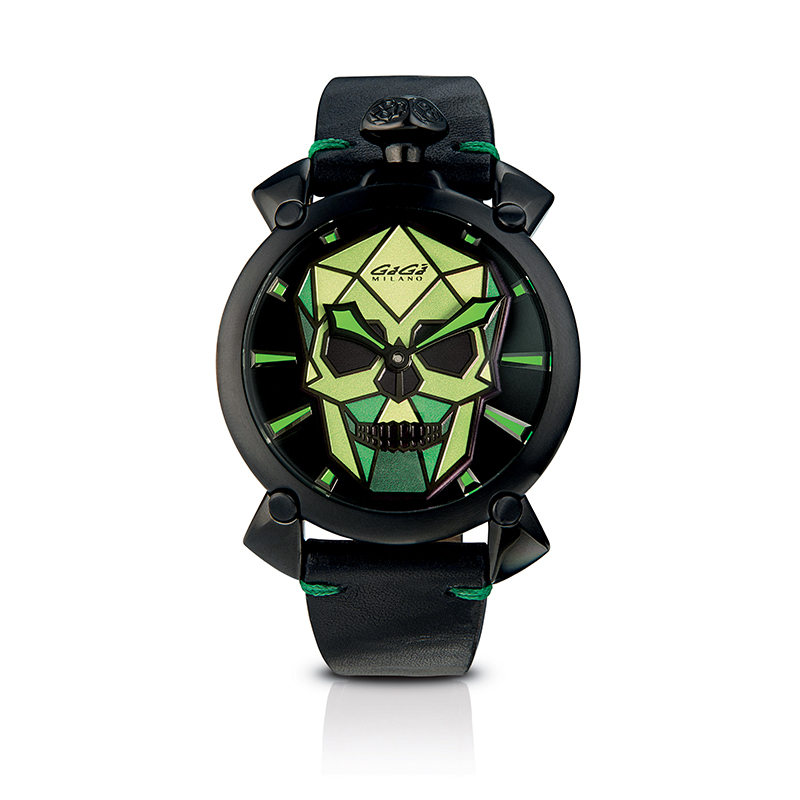 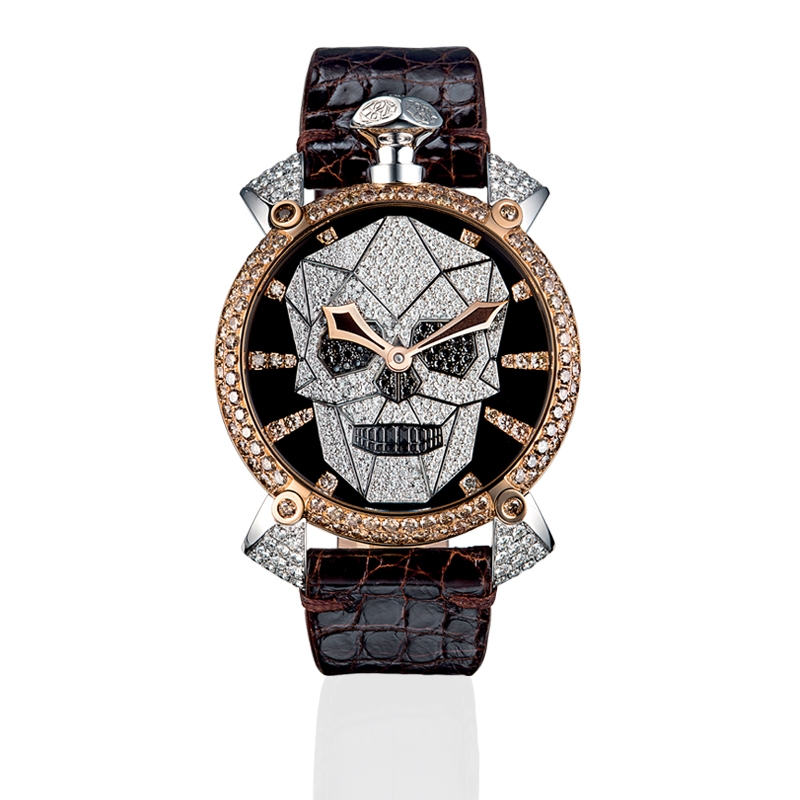 The metal frames, applied black indexes and hands in sword complete the watch. 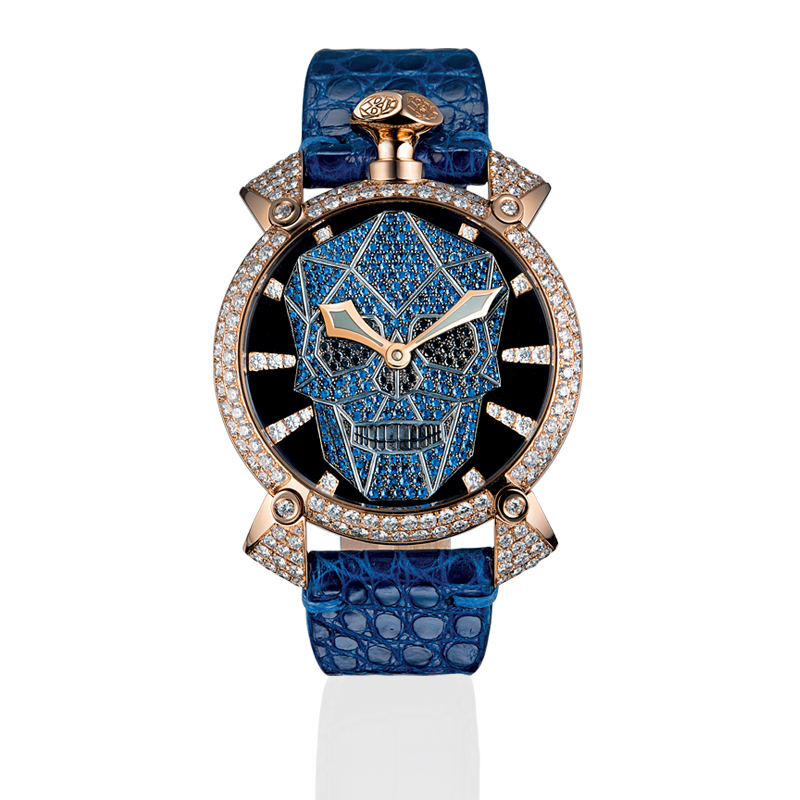 The mineral glass, with sapphire treatment, is of convex shape, encased with nylon seals. 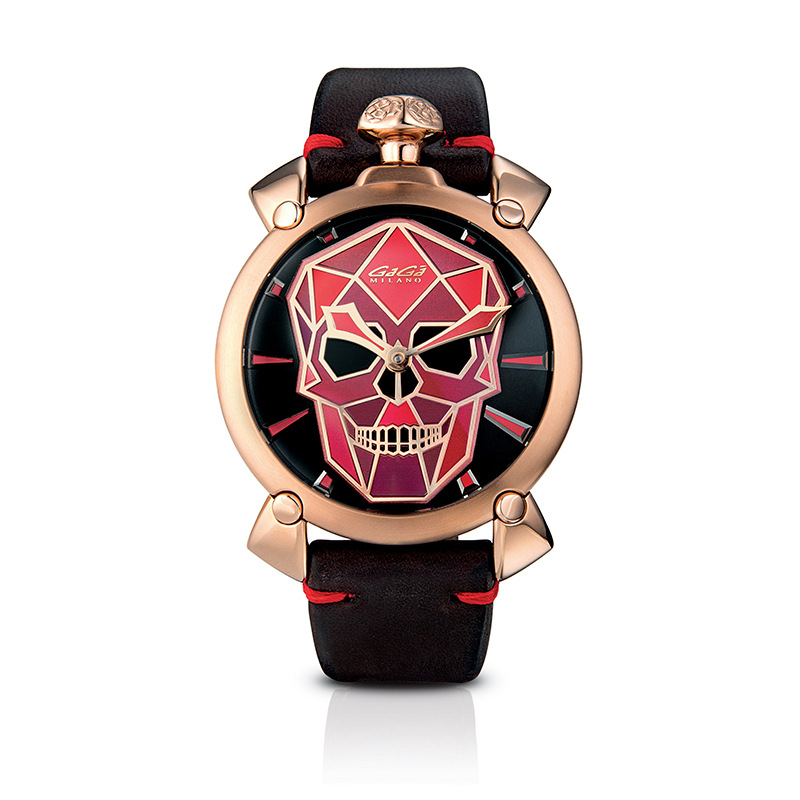 The case, in 3 parts, is available in steel, rose gold and black PVD, with polished and satin finishes. The movement is mechanical Swiss Made with manual winding.